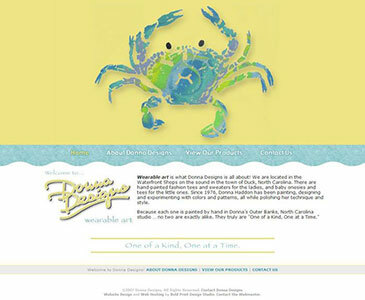 Donna approached Bold Print Design Studio in 2007 to design a website that would showcase her art and act as an extension of her Duck, NC store. 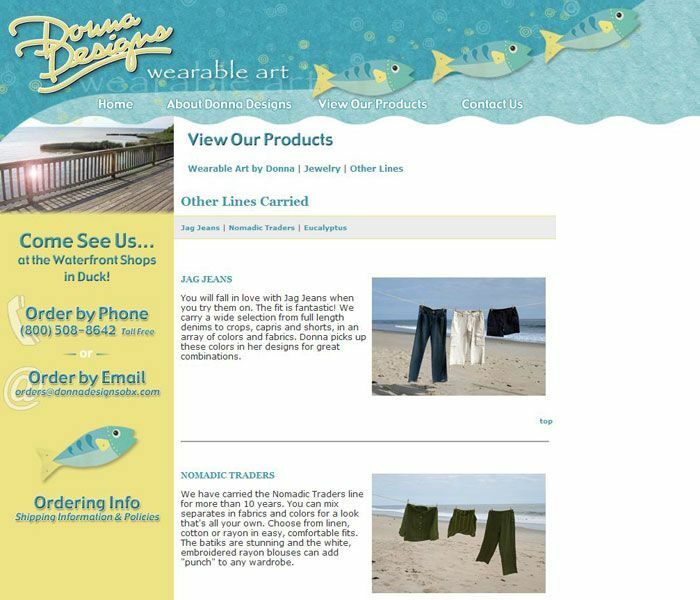 Just like her store, she wanted it to be fun, inviting and friendly. 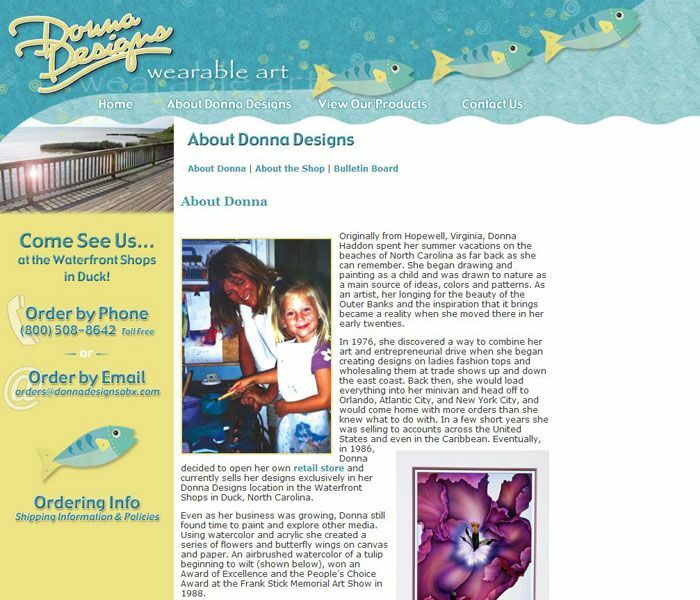 A place for her loyal customers to go find out about her newest products, latest happenings, and view bulletin board pictures of people (mostly children) wearing Donna’s art. 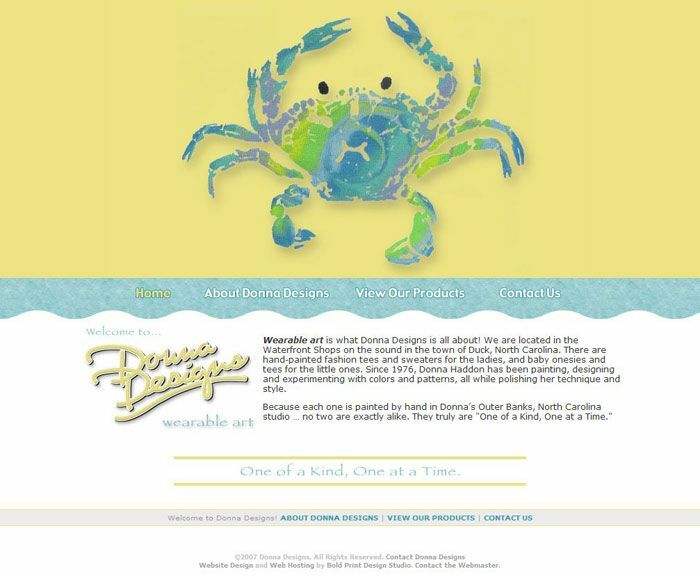 The website also provides the ability to keep in touch with her customers while they are back home and dreaming of their vacation. 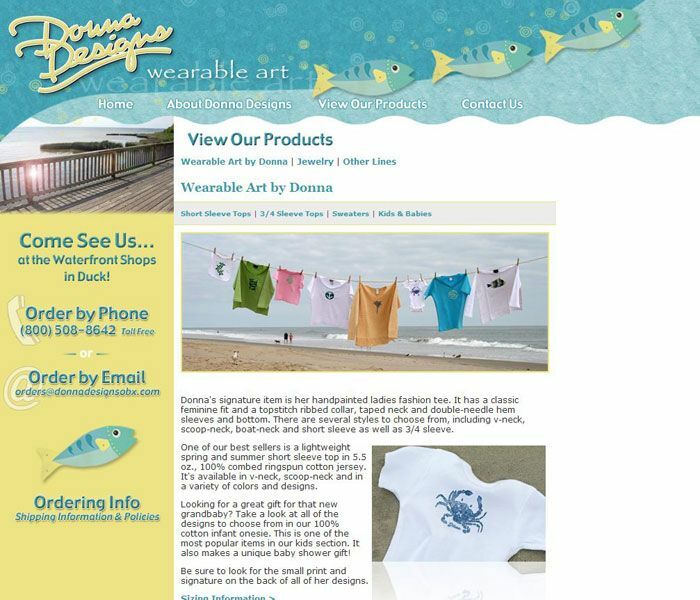 Custom graphics were created and used to accentuate the beachy and playful art on display in the shop and sold by the artist. 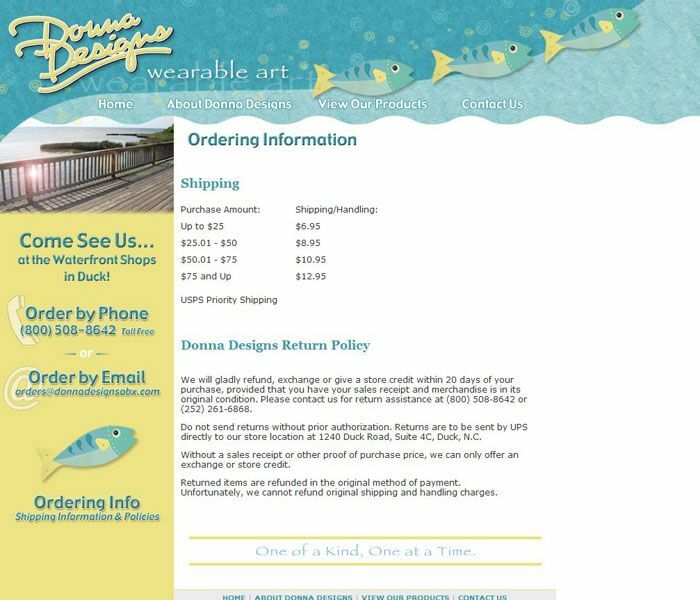 Although not an online store yet, it was important to Donna that we design the site so that it could be expanded into an ecommerce store one day.